Employees recording their attendance first thing in the morning is something common that happens in offices around the world. When automation is used to make life easy in every sector, then why not use automation for attendance? When you record attendance manually; at the end of the month, you need to compile it which is a tedious job. Here’s where Eilisys can help. Using our attendance management software can help you automate your attendance tracking. An employee comes in and records his thumb impression using the biometric device. This is stored on the device. At the end of the week or month, connect the device to your computer that has the Eilisys employee attendance management system loaded on it. The software would download the data from your device and automatically record the attendance. It gives you options to generate various reports, so you can know the attendance of each individual employee. The attendance software has many advantages when implemented in a company or factory. They can be connected to a biometric device or swipe card or any sort of recorder. Over time, compensatory off, leaves, everything can be easily managed using the employee attendance software offered by Eilisys. The entire leave system can be automated through this software, reducing the workload of your HR department. The software can be seamlessly integrated with any payroll software so the data can be directly used by the payroll software to calculate monthly salary. Employees also can log in to the software and know their attendance and leave status. This would be very convenient for them, as they don’t have to approach the HR department for everything. They can know punch in and punch out times. Some companies allow a certain number of times of late punch. In such situations, this information will be very helpful for employees. 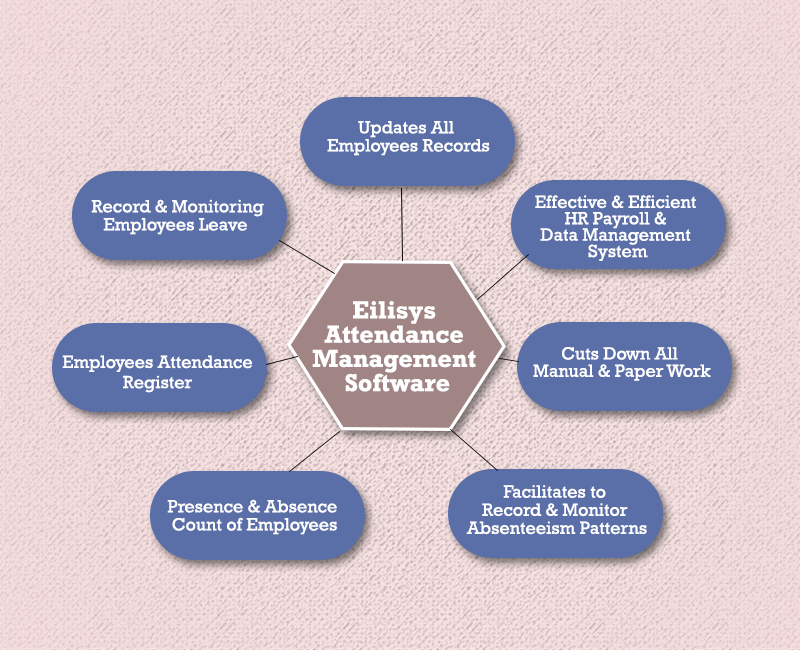 Eilisys software is definitely beneficial for a company and its employees as the entire attendance and leaves system is automated making life easier for everyone. Our USP is that we offer customized solutions for you. We do not believe in offering a single product to all companies. Each company or factory is unique, their needs and requirements are unique. So, we customize our software to meet their requirements. Our customized solutions would take care of all your needs. We are obsessed with customer satisfaction and our aim is to ensure our product satisfies you completely. Do contact us for your attendance software needs. Regardless of the size of your organization, employee time management is significant for any business owner or employers. Every business owner has presumed that it requires a great deal of money to effectively manage their employees and time. NO!! The truth is something else!! All thanks to automated business tools and newest technologies, employee management has become more affordable and efficient. Employee time management or employee attendance management system is more than about compliance. It is software that helps in managing attendance and work timings (arrival time and departure time) of the employees. This software provides accurate results to the HR personnel by calculating the attendance of employees and a calculating number of the days the employee was absent. Apart from this, it also provides information regarding shifts, overtime, half-days, grace periods, flexible-timings, etc of the employee. If you are on loss due to employee downtime, it’s always good to opt for a perfect employee attendance managing system. Whether you’re a big enterprise or small company, you should clearly jot down your requirements. The kind of the organization and the number of employees who use the system/software are the important determinants to choose the attendance management system. Affordable, flexible, accurate, convenient and efficient are the factors that must be included in the attendance software. The right kind of software will outweigh the cost and time occupied in the calculations. Considering the right kind of software can make the daunting task easy and simple. Why use employee attendance software? Thanks to technological advances, employee attendance software have drastically reduced the understanding of multifaceted HR attendance management structure, operation, rules, and regulations. Employee attendance management software has significantly accelerated the attendance process without any major errors. Reduced errors, a time-saver: With attendance software, there is no room for errors in the calculation of days present, absent and other stuff. There is no need for doing long boring calculations at the end of every month. Ease in usage: Attendance software is easy to use and doesn’t require any grade. With the usage of HR management software, it becomes easy to prepare payrolls of the employees. 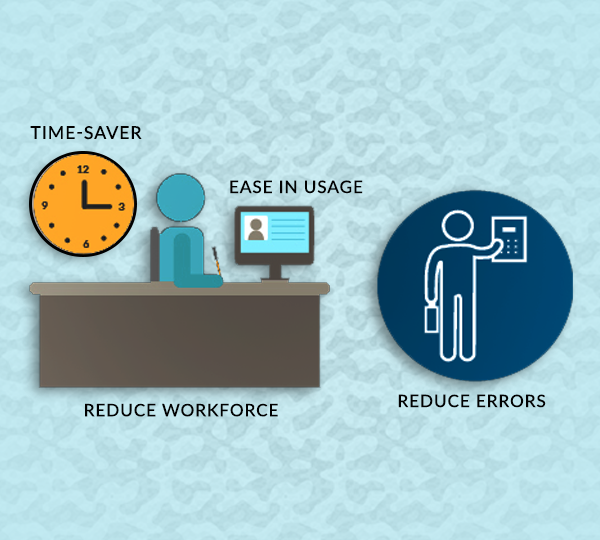 Reduce workforce: It automates the task of calculating a number of days present and absent. It becomes easy to compute salaries and other perks given by the employer. Increase Employee Productivity: Monitoring the employee’s activity helps in increasing their productivity. This software also helps in providing information regarding in time / out time and permission/holidays taken by the employees of the organization. HRM or Human Resource Management is software which is specifically designed to maximize the employee performance in service of an employer’s strategic objectives. Eilisys HCM software will be a great help for the HR personnel in saving lots of time which could be utilized in other more important core activities. It helps in managing the personal data of the employee while taking care of the leave and attendance management, payroll, and other HR functions. 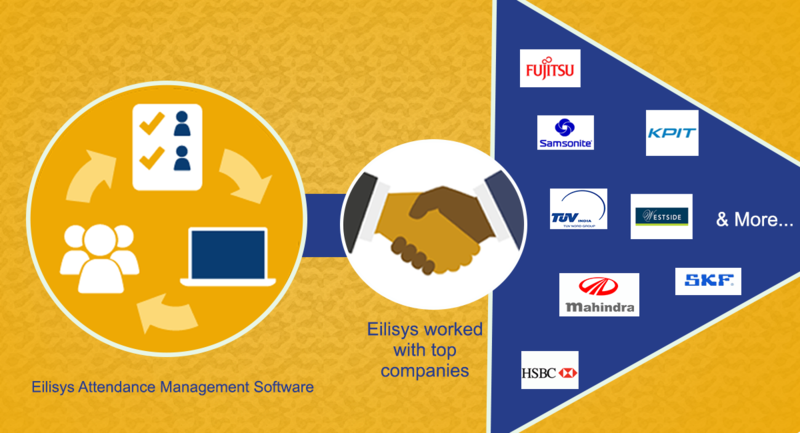 Improve your employee performance with Eilisys! !